Dr. Jamrozek provides dermal fillers and BOTOX treatments in West Milford, NJ. Call 973-728-3779 to learn more and schedule your appointment. Over time, your skin loses elasticity. This natural process, plus genetics and environmental factors like sun exposure, can cause moderate to severe lines and folds. Dermal fillers will volumize creases and folds in the face in areas that have lost fat and collagen as we age. Some patients may wish to add subtle volume to their lips. Others may want to soften appearance of their vertical lip lines. Unwanted lines can be treated by dermal fillers. And we offer different treatments for different needs. Everybody has different concerns when it comes to facial esthetics. Fortunately, the Juvederm collection of fillers offers a wide range of treatment options that can be customized to your individual needs. 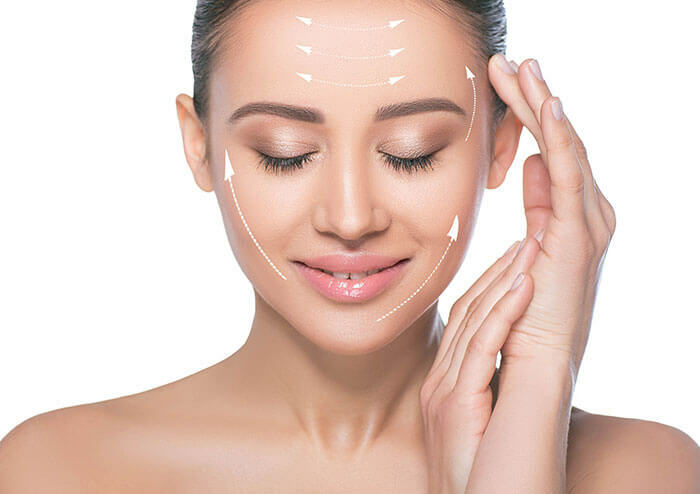 The Juvederm collection of fillers offers instant results, nonsurgical treatments, and natural-looking, long-lasting results — all from convenient, in-office procedures. Diet and exercise alone may not help. Submental fullness can be caused by a number of factors, including weight gain, genetics, and aging — and you don’t have to be overweight to have fullness under your chin. Sometimes, no matter how much you exercise and diet, the condition may not go away. Kybella may help. Kybella (deoxycholic acid) permanently destroys fat cells in the treatment area under the chin, improves the chin profile, and can be individually tailored. Kybella is synthetic deoxycholic acid which is a naturally occurring molecule in the body that helps break down fat. The effect of dermal fillers typically last anywhere from 6-12 months at which point the procedure needs to be repeated. Botulinum toxin is a manufactured injectable medication used therapeutically to reduce the strength of targeted muscle tissue. Botulinum toxin affects and blocks the transmitters between the motor nerves that innervate the muscle.There is no loss of sensory feeling in the muscle. Once the motor nerve endings are interrupted, the muscle cannot contract. When the muscle does not contract, the dynamic motion that causes wrinkles in the skin will stop. The skin then starts to smooth out, and in approximately 3-10 days after the treatment, the skin above those muscles becomes nice and smooth. The effects of Botox last 3-4 months at which time the patient needs retreatment. Botox is also used to complement esthetic dentistry cases as a minimally invasive alternative to surgically treating cases. We invite you to call our office today at 973-728-3779 to learn more and schedule your appointment. A PDO thread lift is a revolutionary new type of nonsurgical facelift. Rather than surgically removing loose facial skin, we use threads made of polydioxanone (PDO) to gently lift it into the desired position. Polydioxanone is a biodegradable polymer that is routinely used in cardiothoracic surgery, and it is one of the safest materials on the market. The threads provide an instantaneous mechanical lift, leaving your face looking noticeably younger. In addition, the presence of the threads stimulates your body’s healing response. Over the next several months, your face will create new collagen, elastin, and hyaluronic acid, while decreasing cellulite. This natural regeneration of your skin and subcutaneous tissue continues the anti-aging process, leaving you with lifted, firmed, youthful looking skin with fewer wrinkles, scars, and skin troubles such as acne. Although each person’s collagen synthesis rate is unique, the threads will dissolve in about six months. By the time they dissolve, you will see a true difference in your facial appearance. The procedure takes just 15 to 30 minutes, with minimal healing time. It is performed under local rather than general anesthesia, allowing you to drive yourself home and return to your normal activities right away. Due to mild redness, swelling, and discomfort, some patients prefer to take the rest of the day off, but are comfortable returning to work the next day. You will need to avoid vigorous scrubbing for a week to avoid dislodging the threads, but normal facial cleansing is fine.